Heritage windows are beautiful and should be conserved. Unfortunately, they also typically have reduced insulative capacity (r-value), do a poor job at keeping noises out, and will gradually loose their function with time. We can help you save these historical architectural features of your house, while at the same time improving their thermal and sound insulating properties. This will save you time and money now, and in the long-term. 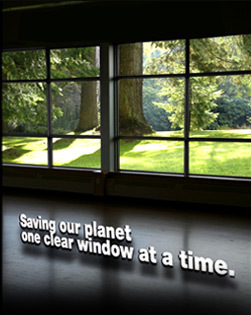 Discreate magnetic interior storm window will reduce drafts, increase insulating r-value and reduce noise transmission. Snugly fitting and easy to use (no tools required), our interior storm windows offer a unique solution to common problems with heritage windows. Do your heritage windows need some hands-on help as well? We will sand, paint, and weatherstrip and caulk your windows, improving their beauty and function. Or do they need a lot of work? We can do more involved restorations including replacing portions of the windows.